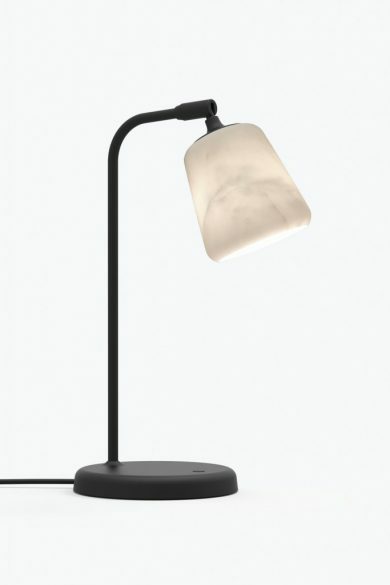 materials: shade in white marble, base in black powder coated aluminium with steel details and black PVC cord. three-step dimmer on table lamp. The introduction of the Material Table Lamp allows you to bring the beauty of natural materials into every room of the house. The product features a pivoting head for added function, and a sleek black frame that places your chosen material front and centre. From the warmth of mixed cork and terracotta, to the textural concrete finish, the Material series is perfect for those intimate settings.